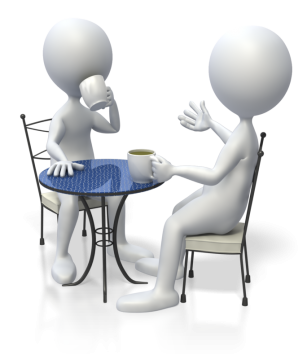 Al Capone once quipped, “You can get much further with a kind word and a gun then you can with a kind word alone.” A more precise summation of the Gangster Way you couldn’t ask for. In Public Enemies, Bryan Burrough chronicles the true-life account of America’s greatest crime wave and the rise of the FBI, from 1933-1934. 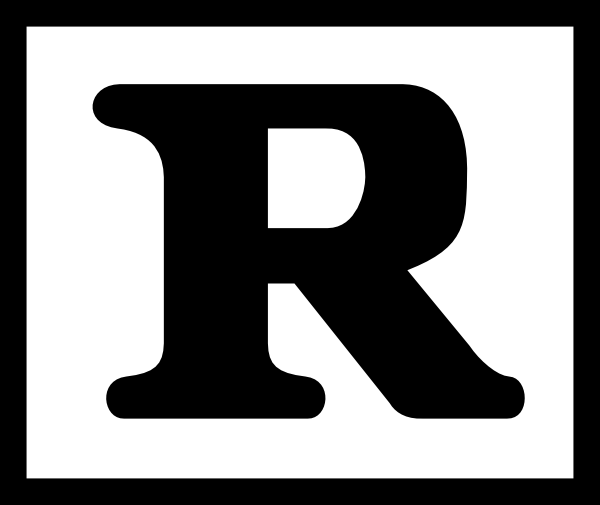 Drawing on a formidable array of sources – primarily federal files, released in bits and pieces since the mid-’80s – Burrough strips away the layer of myths surrounding the lives and exploits of infamous criminals like Pretty Boy Floyd, John Dillinger, Baby Face Nelson, Bonnie and Clyde, Machine Gun Kelly, and the Barkers. What’s left is the spellbinding yet utterly factual story of the American “War on Crime” – and how the fledgling FBI grew up in the midst of it. This is a great book – one which history buffs cannot afford to miss. As mentioned above, Burrough’s research is impeccable; his commitment to detail and accuracy tremendous. Thanks to this, readers are put right in the middle of the action – from Dillinger’s prison breaks (including one where he used a wooden gun) to the pursuit of Bonnie and Clyde to the disastrous Battle at Little Bohemia. Engaging stuff. I kid you not: when it comes to grabbing and holding the reader’s attention, Public Enemies puts many novels to shame. J. Edgar Hoover has always struck me as an interesting figure; and after reading this book, I find that he was, indeed, very interesting. I don’t have much respect for him, though. I respect much of what he accomplished – but his shifty, overbearing, and remarkably disingenuous ways make it difficult for me to admire the man himself. 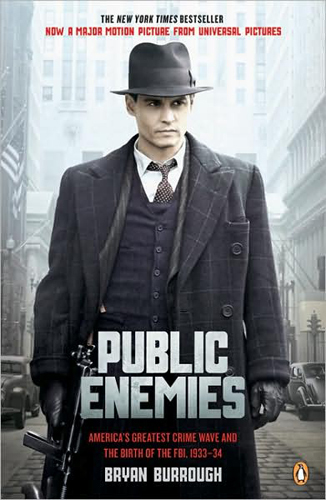 Public Enemies is first-rate: a book which I gladly recommend. It’s hard for me to imagine a more precise, fascinating, or better written examination of this critical era in American history. Nathan Johnson and the Looper Soundtrack – Really, really cool. This is one soundtrack I plan on purchasing the instant it gets released. What To Do On A Summer Day – Now this is what June, July, and August are really for. Summer Projects – Wouldn’t want you to miss your daily dose of wow. Reel Quick: John Carter – In case you’re wondering… no, I didn’t like it. Because no matter how many times I watch this, it never gets old. Considering The Hunger Games was released on DVD barely a week ago, I figured now would be a good time to review what is, in my opinion, one of the finest aspects of the film: the score, composed by none other than J.N.H. I’ve encountered several less-than-favorable reviews of it, and the most common criticism seems to be that score is too minimalistic. I beg to differ: the score is minimalistic, but perfectly so. Howard invests thought and emotion where lesser men would have settled for cheap thrills. And frankly, I find it incredible that most listeners can’t appreciate that. Their loss, I suppose. Here’s hoping it gets some recognition come Oscar season – J.N.H. deserves no less. 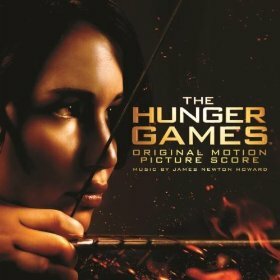 Katniss Afoot and The Train are perfect examples of the quiet beauty that permeates this soundtrack; while Horn of Plenty captures the pomp and grandeur of the Capitol with choir, drums, and a fanfare of trumpets. The Countdown is a gripping bit of work, accompanying one of the most nail-bitingly intense sequences in the entire film. And then there’s Rue’s Farewell: for me, this piece is the highlight of the album. Lovely. Just lovely. I won’t even try to describe it further, because I can’t. You have to listen to it yourself. With Muttations, Howard gives us an action cue firing on all cylinders – grim, daring, and frenetic. The final track, Tenuous Winners, swells with triumph and relief, only to assume a darker tone in the closing seconds. Because, after all, the story isn’t over yet. Purchase the MP3 album on iTunes or Amazon.com. To the Uninitiated: this is the follow-up to a previously-written post, available here. People ask me what my name is. If I tell them my real name, they inevitably spell it wrong. If I tell them my name is Ink, it’s easier for them to spell, but they look at me funny. I can’t win. People ask me if I like Justin Bieber’s music. Do chickens have teeth? No? Okay, then. People ask me if I’m “socialized,” being a homeschooler and all. Here are three viable responses: 1) Do you even know what that word means? or 2) You really have no idea what homeschooling is, do you? or 3) No ma’am, my parents keep me locked up under the house 364 days of the year. Today’s my off day. People ask me if “ink slinger” means I run a tattoo parlor. I usually don’t respond to that one. I just stare in a way calculated to make them feel really, really dumb. People ask me what sport I most enjoy playing. That’s an easy one: rugby. Rugby is like football… except that it makes football look like a game for wimps and snails. People ask me if I support gun control. As a matter of fact, I do: two hands, finger off the trigger, muzzle downrange, sights on the target… and make sure you hit what you’re aiming at. Saavy? People ask me what it’s like to be the eldest of eight (soon to be nine) children. I tell them to hold that thought – they can read the answer in my autobiography. People ask me what my hobbies are. I tell them I like to read and write, and they smile and nod. I tell them I also like to throw knives and shoot guns… and they call Social Services. Or they would, except I don’t miss.